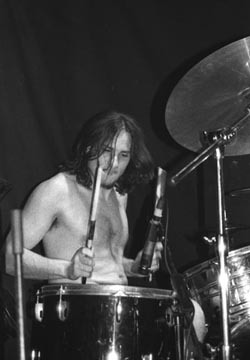 The M-16's hail from Perth, Western Australia, a city, which over the years has fostered a unique musical environment that has given birth to the careers of such artists as Bon Scott (Valentines, AC/DC), Kim Salmon (The Scientists), Dave Falkner (The Victims, Hoodoo Gurus), David McComb (The Triffids), Dom Mariani (The Stems, Someloves, DM3) and Ian Underwood (The Kryptonics, Challenger 7). And while The M-16's aren't your average Perth band, one thing they do share is the same cavalier and uncompromising attitude that helped make the above bands famous and together with bands like Jed Whitey, The Volcanics, The Fuzz, Capital City and Screwtop Detonaters, The M-16�s are at the forefront of what is an exciting rock n roll scene here in Perth. The M-16�s play what is best described as high energy rock �n� roll; loud, honest and uncompromising. 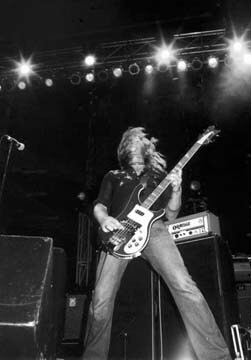 The high profile Australian webpage, The I-94 Bar, described them as like "the Hellacopters in Sonic�s Rendezvous mode only but with balls the size of tractor tyres�" while they reminded Steve Gardner (The Big Takeover) of "old Perth favourites the Kryptonics", something which pleased the guys in the band no end. The M-16's are lead by the irrepressible Ken 'Killer' Watt, guitarist extraordinaire and one of the few graduates from John Spittles� School Of Hard Knocks. He is joined on bass by long time friend and confidant, Brad Miller while Adam Scuillo pounds the drums. 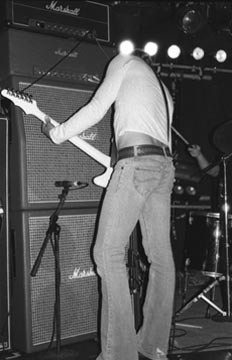 Rounding out the band is lead guitarist David �Spiffy� Hopkins, who plays with the band whenever possible. Formerly a member of Sydney band The Hellmen, Spiffy fitted into the band with consummate ease playing his first gig with the band on Thursday 23rd June after only one rehearsal.